Confetti Cannon will blast confetti everywhere. Expect the unexpected, as a crack team of three confetti characters create a series of joyful explosions with dance floor-ready, performer-operated shoulder cannons. 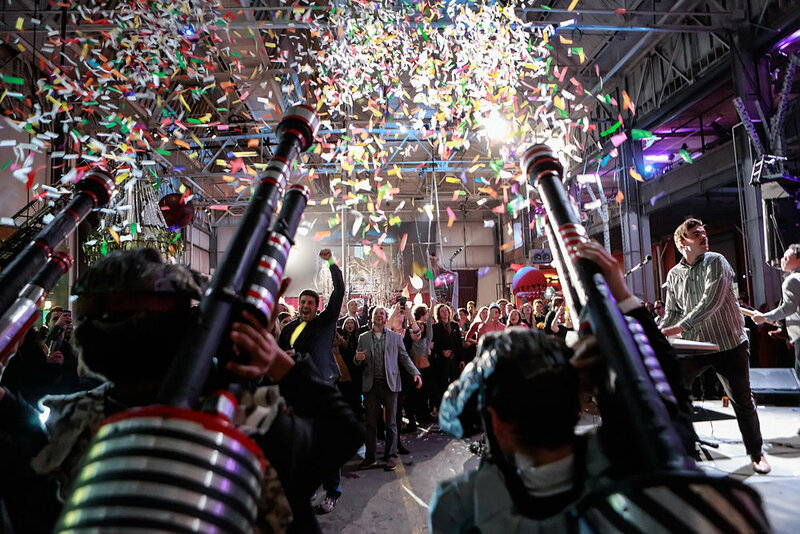 For the ultimate confetti celebration, add the 12-foot long, 8-foot tall Napoleonic-style Giant Confetti Cannon that uses an industrial tank of compressed air to blast powerful showers of colorful confetti up to 30 feet above the heads of mingling guests.